The surgical technologist is an integral member of the surgical team who works closely with surgeon, anesthesiologists, registered nurses and other surgical personnel in the care of patients before, during, and after surgery. The surgical technologist’s primary responsibilities include preparing the operating room for the surgical procedure, including all instruments, supplies and equipment for use, and anticipating the surgeons needs. Throughout the procedure the surgical technologist vigilantly monitors the sterile field, prepares and care for specimen’s taken for laboratory analysis. 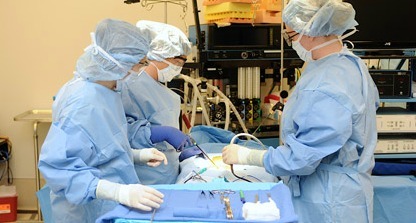 Surgical technologists are employed by hospitals, mainly in operating and delivery rooms. Others are employed in clinics and surgical centers, and in the offices of physicians and dentists who perform outpatient surgery. Career rewards include opportunities for diversity and advancement. Click here for more information on the Surgical Technologist program. 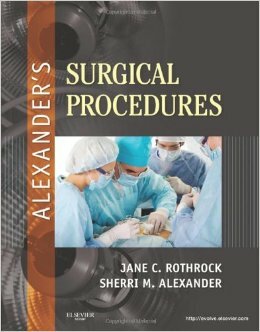 These books are required for the Surgical Technology program. A copy is on reserve in the library and available for a 2 hour checkout period. You will need your student ID. Surgical Technology: Principles & Practice, 6th Ed.